@Pgoodwin1 Atlanta is closest to me, but there aren't any servers that I can find in the test. Also this is my latest test according to speedtest. Not sure how much fluff it is lol. True, but this was mucho better than what I had been getting the past 5 months. less than 30mbps whilst paying for 100. 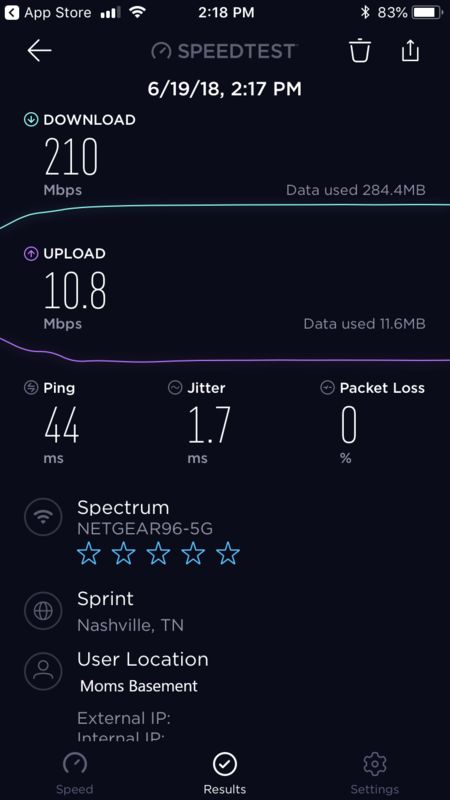 But still can't understand how I can't get anything close like most in here on the testmynet speedtest.